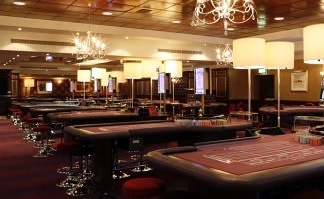 Maxims Casino Birmingham is the place to be if you fancy a game of poker. As one of the top casinos and poker rooms in Birmingham, Maxims Casino sees a lot of traffic each day with most of the activity happening over the weekends. Maxims Birmingham is open seven days a week starting at 2pm and going on to 4am. Club admission is completely free as membership requirements were done away with awhile ago. Check out some of the great events that Maxims always has to offer. Make a night of it with a dinner and some gambling with friends. They also offer a nice Supper Sandwich deal which is medium fare if you are just thinking of having some drinks and gambling. No jacket is required at the Maxims Casino Birmingham because they have a smart/casual dress code. Membership is not a requirement, however it is free to sign up for their rewards program.